Ms. Antonelli has performed at Lincoln Center in New York, Kennedy Center in Washington-DC, War Memorial Opera House and Palace of Fine Arts in San Francisco, San Jose Performing Arts Center, and in numerous other major concert halls, both here and abroad. For three summers, she gave recitals aboard the QEII ocean liner and has been a guest of aristocracy and royalty in Switzerland, Monaco, Spain and remote countries. Her Tully Hall debut as a young pianist drew a capacity audience that gave her an enormous standing ovation and demanded many “encores”. Experienced in chamber music, Ms. Antonelli has collaborated with violinist Ruggiero Ricci in New York, cellists Simone Pierrat in Monte Carlo, Pierre Fornier in Paris, Russians Rostropovich, and Kouguell in Washington and New York. As assistant conductor of the New Jersey Opera she met and accompanied many famous singers, among them, Marilyn Horne. As a member of the Contemporary Composers Association, she premiered works of David Amram, Nicholas Flagello, Vittorio Giannini, Ned Rorem and numerous others. A high point in her later career was the invitation by Jan Gorbaty, President of the International Chopin Foundation, to present a recital in New York on behalf of young participants going to Poland for the Chopin Competition. Also presenting recitals were fellow pianists Abbey Simon and Emmanuel Ax. On a Fulbright Grant in Europe, she worked with Arturo Benedetti Michelangeli of Italy and was awarded the Artist Diploma, a coveted and rarely given prize, for her work at the Naples Conservatory. Ms. Antonelli’s musical abilities run the gamut from teaching to performing to consulting. 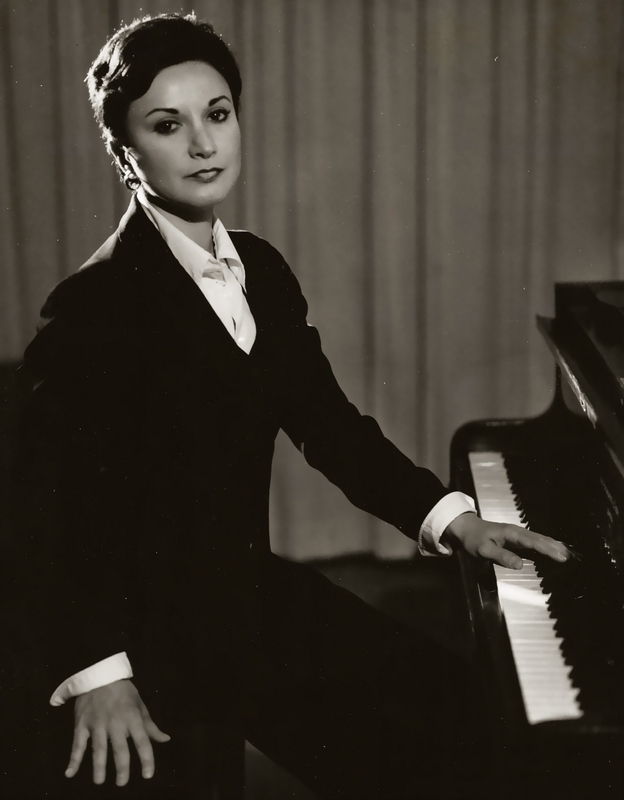 Not only was she a medal-winner at the Liszt Budapest Competition, she has also played the piano for film scores (Dr. Zhivago) and acted as music consultant for major producers (Salkind of Superman I and II) among others. Ms. Antonelli at age 15 performed all of the Mozart sonati for piano. At 19, in a field of 42 contestants at the International Bach Festival, she won first place. The esteemed jury chose selections from both books of the Well-Tempered Clavichord (48 preludes and 48 fugues), which Ms. Antonelli offered from memory – considered a rare feat. Ms. Antonelli’s early musical training (from grade school through high school) was under the tutelage and guidance of Sister M. Raymond Joseph of the Sisters of Mercy. She remained Ms. Antonelli’s mentor throughout her later studies.